Buying distressed properties, meaning a foray into foreclosures/REOs and short sales, and renting out the purchased houses could be a lucrative venture. There are some challenges though in order to successfully carry this out. Foremost of these is getting a cheap leverage or the right home loan financing to buy a distressed property. U.S. mortgage rates have become steeper following the last presidential election, creating a major hurdle for investors eying purchases of distressed properties and renting them out. With a high credit score, however, it still possible to snag loans at rates that make investors’ buy-to-rent initiatives feasible. This same regime of rising mortgage rates, though still at historically low levels, is keeping a lot of American households from buying a home. What this means, of course, is that there will be a sustained strong demand for rental housing which in turn exert a continuing upward pressure on rental rates. The prospects of buying homes for rentals indeed remains on a lucrative path, with home ownership still out of reach by many in middle-class America. Be prepared though for a tough grind investing in distressed properties and converting them into rental housing. Expect the competition to be tight, especially for the small, individual investors. Since the last housing crisis, some big institutional investors have been scooping up distressed properties and turning them in to rentals. Buying to rent is not a passive investment wherein you can just sit and watch. You’ll have to go out there to face off with other investors and bid on homes, armed with some prior pencil-pushing and smart enough to outwit the competition. After a successful purchase, you’d still need to make the property rentable, most probably do some repairs or updates. There’s some legwork to do too to actually rent out the property. With all these complexities, many of those interested in buy-to-rent ventures find it smarter to partner with other investors already seasoned in market purchases of distressed properties. At House Sold Easy, we maintain a VIP Buyers List wherein you can connect with off-market wholesale property deals. 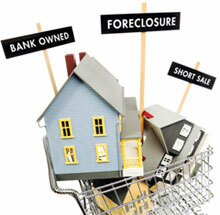 Our professionals at House Sold Easy have been buying houses, including distressed properties, for more than 10 years. With us as your buy-to-rent partner, you will gain access to the market inventory all over St. Louis, St. Charles and even in the Metro East areas up to the Columbia, MO territory. As long-time investors, we have also diversified into leasing homes. House Sold Easy is likewise actively looking for homes for lease-purchase or on rent-to-own agreements. Our lease-purchase program offers varied benefits, including a waiting list of ready tenant-buyers. We can also lease-purchase a house in as-is condition. Call us at 636-525-1566. We’ll explore more on how you can turn distressed properties into great rentals.